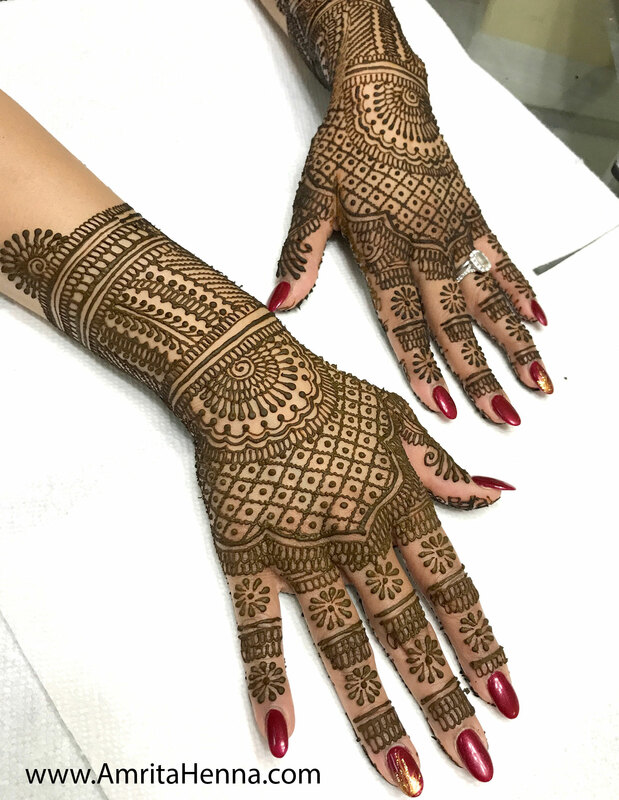 There are so many different styles of Henna practised all around the globe, but one of the best style is the Traditional Rajasthani or Marwari Style Henna from India. 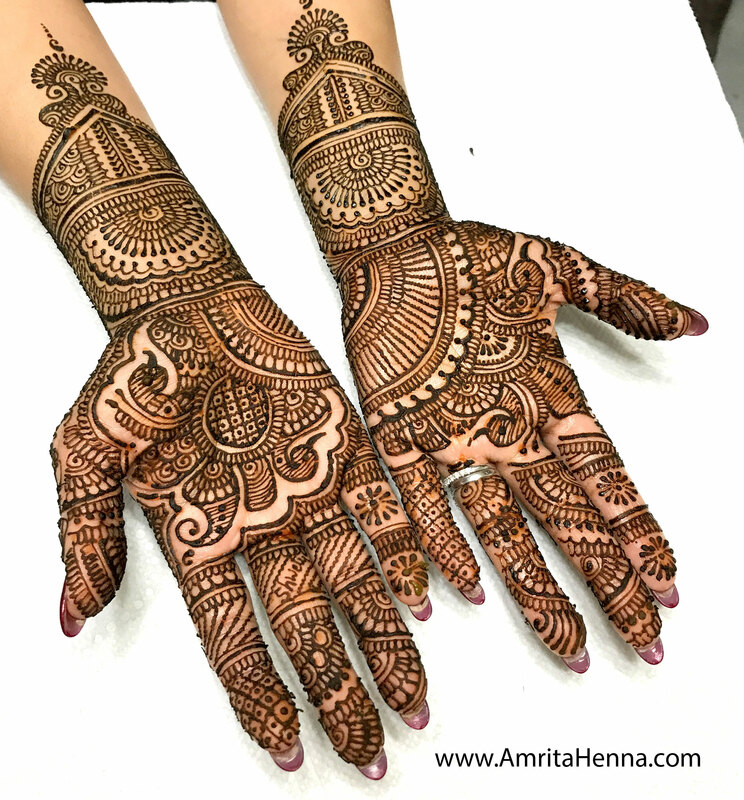 For ages, Henna Artists from small provinces of Rajasthan have been creating this beautiful style of designs, specially for Indian Brides. 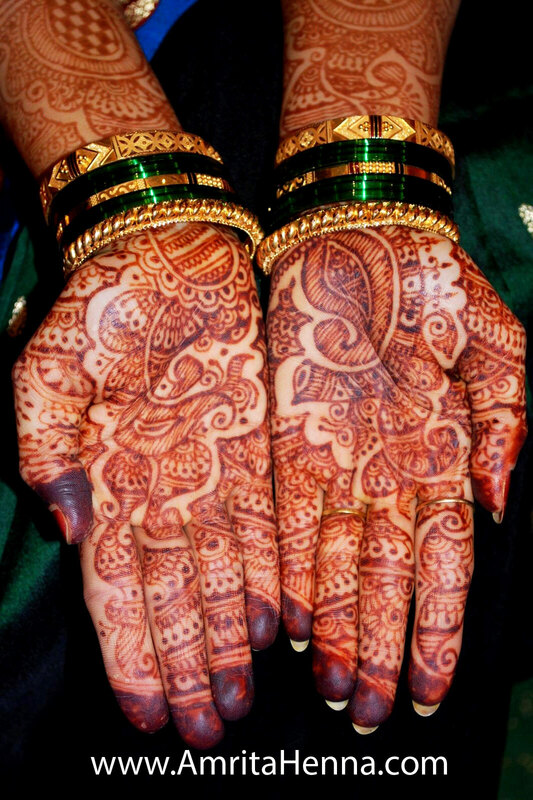 It is so intricate that the details will amaze you. 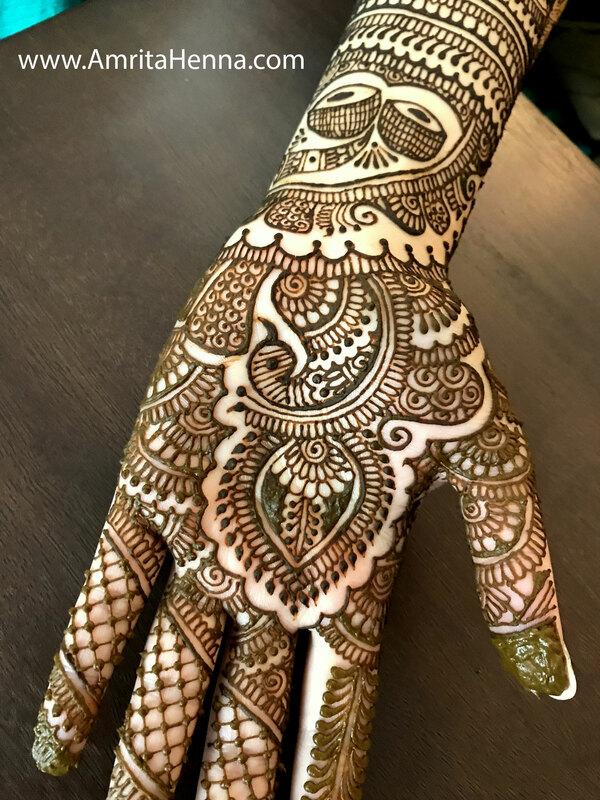 Their beauty is the reason why even after so many years they are still popular and every Bride wants to have only the Traditional Style of Mehndi on her Wedding Day. 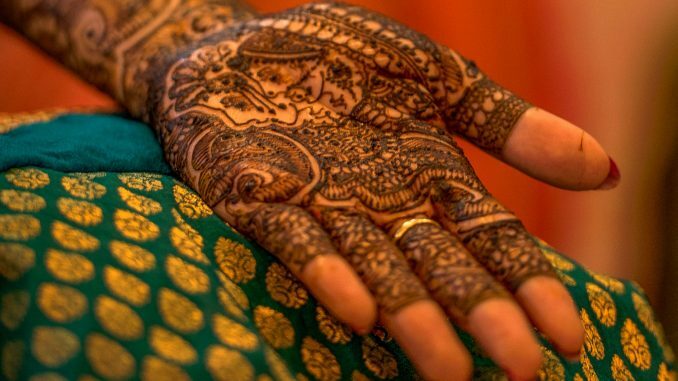 So many new trends and styles come and go, but the Rajasthani Style of Bridal Henna is timeless, it is a classic style. 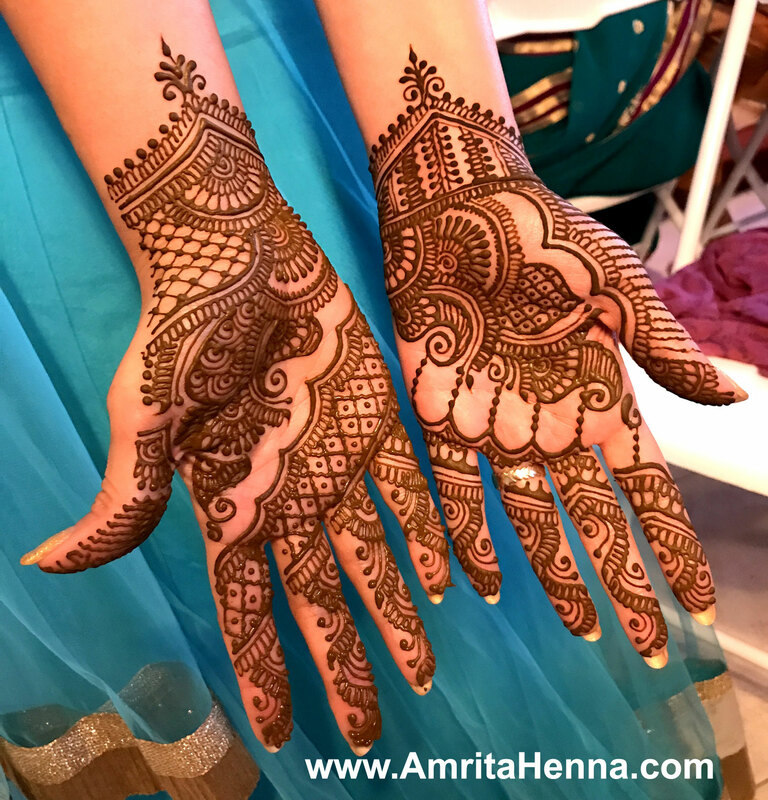 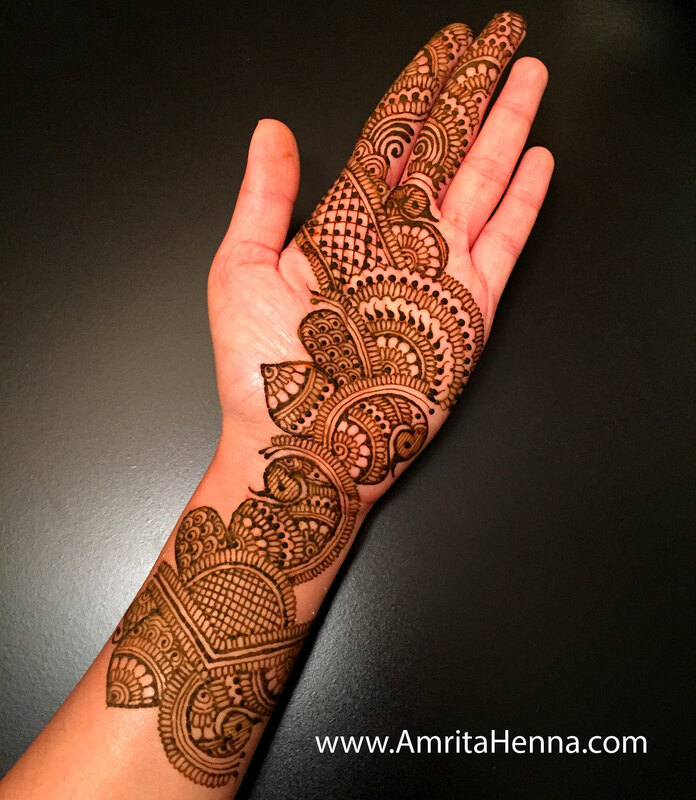 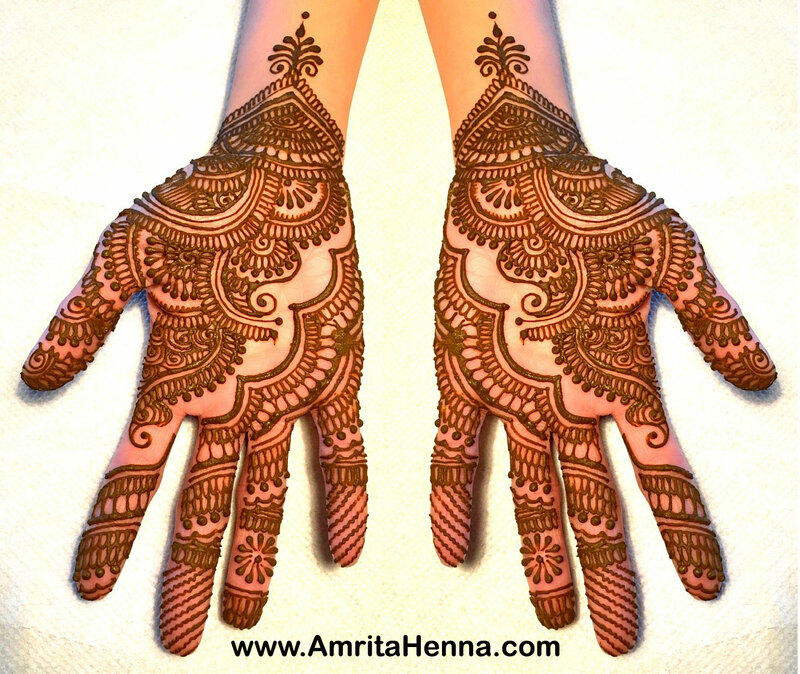 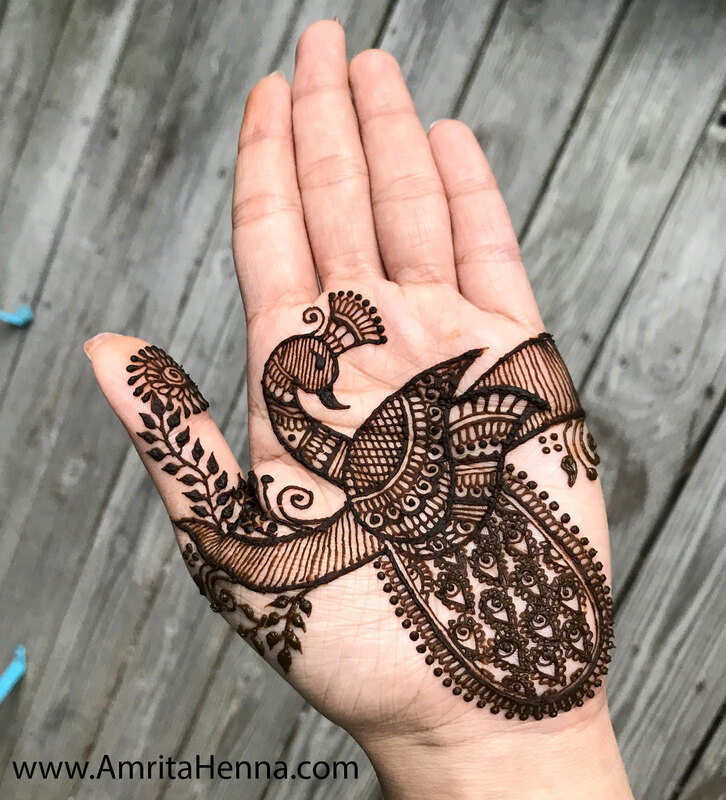 Here is a look at the Top 10 Traditional Rajasthani Style Henna (Mehndi) Designs for Indian Weddings by Professional Henna Artist Amrita Kale. 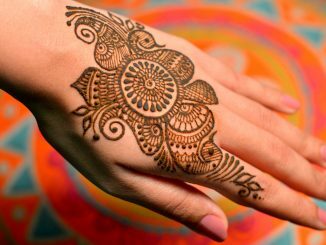 Try them on whenever you have a chance to apply Henna and enjoy their mesmerizing beauty. 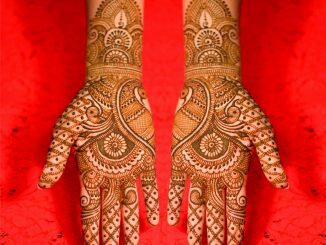 This style is popular all across India, whether it is for Diwali or Karwachauth or Weddings or Rakshabandhan. 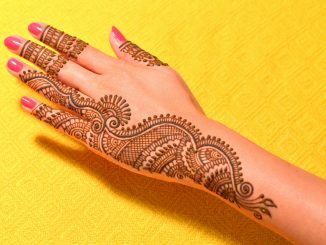 Henna Artists adorn the palms of women with these intricate and unique Henna patterns which are traditional and classic. 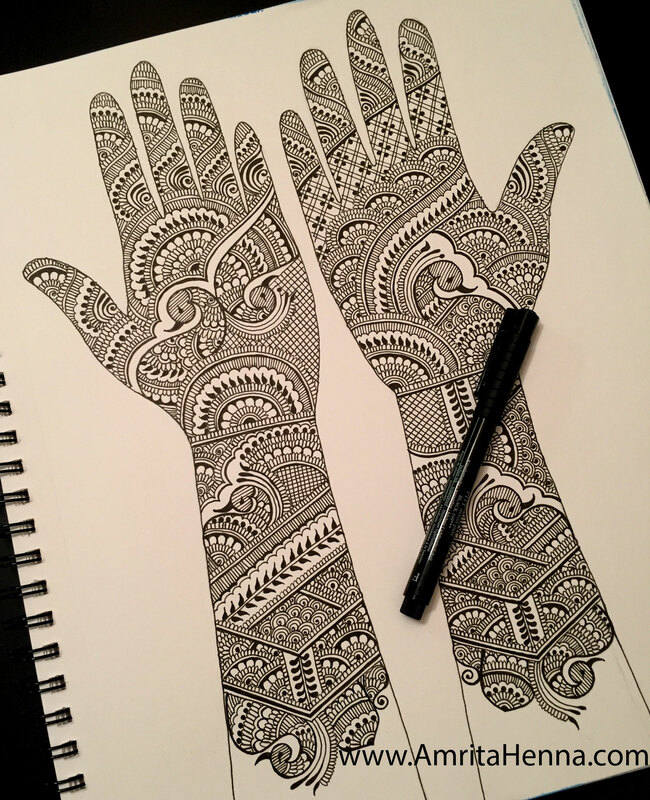 One more popular design concept is the mirror or reflecting Henna designs, where both the hands have the same reflecting design, it takes a lot of practise and efforts for the Artist to master this style, but they sure look extraordinarily beautiful. 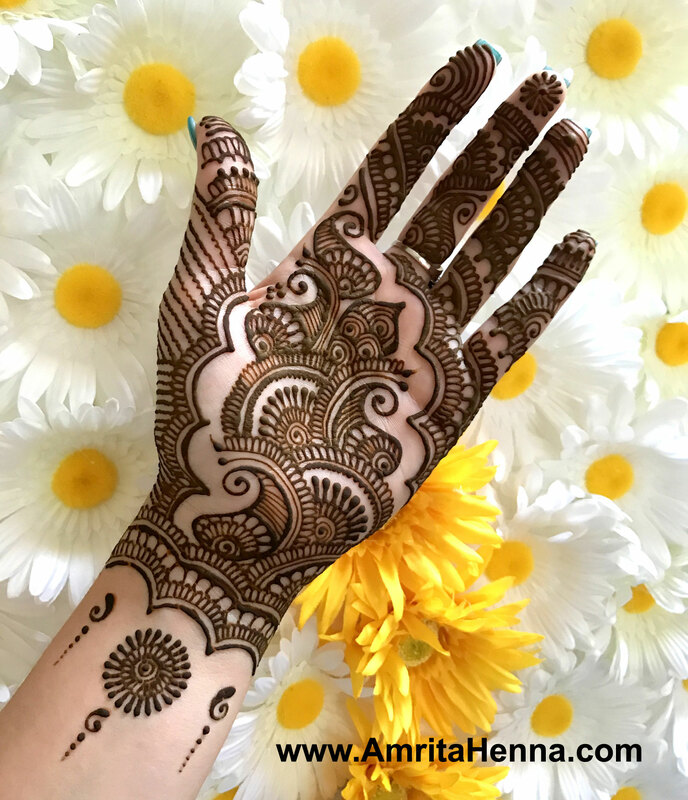 View this Post for Rajasthani Bridal Mehndi Designs for Full Hands, 10 Best Marwari Mehendi Designs for Hands and Feet, 10 Stunning Intricate Rajasthani Mehndi Designs to Inspire you, 10 Beautiful Traditional Rajasthani Henna Designs, 10 Must Try Traditional Indian Marwari Style Mehendi Designs, 10 New and Stylish Rajasthani Style Mehndi Designs, 10 Latest and Unseen Rajasthani Style Marwari Mehandi Designs, Traditional Indian Bridal Henna Designs for Hands and Feet, Top 10 Amazing Rajasthani Style Dulhan Mehndi Henna Designs for Indian Weddings, 10 Awesome Rajasthani Marwari Henna Designs Ideas for Indian Bride, 10 Must Try Rajasthani Henna Designs that will amaze you, Traditional Mehndi Designs, Indian Wedding Bridal Henna Photos.